Lower Your APR & Your Monthly Payments Today! 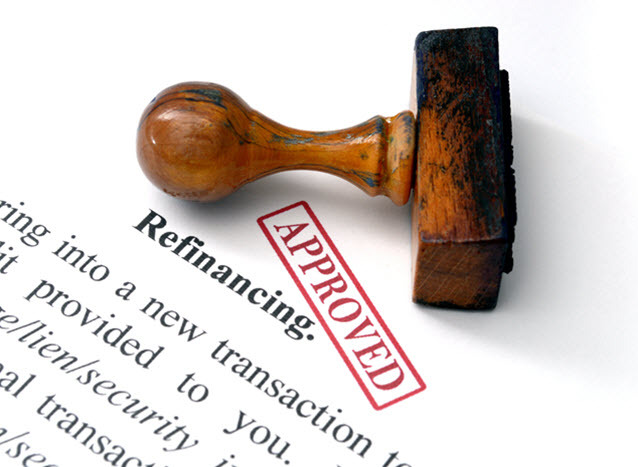 Making an informed decision for refinancing your home is well-worth time and effort. Refinancing options will require an understanding of refinance mortgage rates, interest rates, hidden costs, savings and monthly payments. Determining the potential positive, negative or neutral impact for your mortgage will require homework. Your home is possibly your biggest investment and the correct refinancing is an important choice. Although the reasons for refinancing are many, one point to consider is the underlying reason. If refinancing will result in improved personal financial stability, the option to refinance is both positive and encouraged. If refinancing will ultimately result in additional consumer debt, you should reconsider the long-term impact of refinancing. Increased personal debt may impact your credit score and future loans for several years. Refinancing may offer attractive advantages to homeowners. Perhaps you have been paying into your loan for several years, and equity has built up to where refinancing will free funds to allow for other investments, or other financial choices. Refinancing can be an excellent option for homeowners wishing to invest or consolidate other obligations. Mortgage rates may have decreased since you obtained your home loan. Mortgage interest rates of your current loan were impacted by your home down payment, credit rating and the interest rates available when you locked in your loan. Interest rates fluctuate depending on the rates set by the Federal Reserve. Lower interest rate loans can result in significant savings in monthly payments. Perhaps when you sought your original loan you decided to have a second mortgage because of monetary constraints. Refinancing will allow the consolidation of the two or more mortgages into a single payment. Perhaps these second or more mortgages were shorter term loans with a large lump sum payment at the end of the loan. A refinanced mortgage will eliminate these other loan conditions and a homeowner will enjoy the security of one payment for a set duration of time. Refinancing offers the additional option of extending or reducing the length of your home mortgage. Many people choose a thirty-year mortgage that allows them affordable monthly payments. Other refinancing options may exist such as ten, fifteen or twenty year mortgages which will result is a faster payoff of your loan, and save thousands of dollars in interest payments. An additional advantage to shortening this loan by continuing to your original payment, you will accelerate your home equity because the additional money would be applied to principal and not interest. Our home refinance calculator shows how much you can save locking in lower rates. As lenders offer many loan packages, with various interest rates, features and fees, careful study is necessary to pick the refinance loan that meets your refinancing objectives. Common refinance loan options include: fixed rate mortgages, adjustable rate mortgages, balloon home loans and home equity loans. Each loan has specific criteria that may appeal to a borrower, but has advantages and disadvantages. A brief explanation of each loan type will provide a glimpse into the benefits and potential drawbacks of securing each loan type. Fixed rate loans allow for monthly payments that remain unchanged during the duration of these loans. These loans are less flexible and often do not allow extra payments or equity withdrawls. Adjustable rate mortgage (ARM) loans may begin with a low monthly payment for a set period time, but when this time elapses, the interest rate may suddenly increase. Balloon home loans will normally be a short-term loan between seven and ten years with low interest rates comparable to the Adjustable Rate Mortgage, but once the time period expires the balance of these loans are due. Home equity loans allow a homeowner to borrow from the equity accumulated on the property at a fixed interest rate. The annual percentage rate on these loans remain unchanged and borrowers pay one monthly fixed payment, but the caution here is that these loans may reduce home equity. When refinancing your home, costs are associated with the new loan. Understand these costs and how they impact your overall savings is important. Perhaps the most important consideration before researching refinancing is the length you are planning to remain in your current home. If you plan to remain for an extended time period, refinancing is a positive financial consideration. If you plan to sell your house in a short period of time, perhaps within several months, refinancing may not be a positive financial decision. Most refinance loans have costs associated for the new loan and these costs can require upfront payment to secure the loan. When you secure a loan or refinancing a loan, costs called “points” attached to these loans. These costs are often referred to as discount or origination fees. Each loan point is equal to one percent of your loan. Although the possibility exists of securing a loan that requires no upfront fees, often this loan can result in a higher interest rate. These loans are “zero-rate” or “no cost” loans and should be examined carefully to ensure you understand all the pros and cons of securing this refinance loan. One factor to consider is current interest rates and your current mortgage interest rate. You can refinance to a rate that is lower by one half a percent to several percentage points depending on your original loan and current loan rates. The greater the percentage difference, the greater the savings on the monthly payment. What you should understand is although a lower mortgage rate is realized from refinancing; you must calculate how many months will be needed to recoup the loan fees or “break even” and to start realizing the savings from the new loan. In order to understand your costs associated with this refinancing, a good-faith estimate of the exact closing costs is a good analysis to request of your potential lenders. This good faith estimate is required by law to protect you from paying additional or higher costs than quoted on the estimate. When signing for the new loan, checking this estimate against the actual costs will avoid additional unforeseen loan costs. If you purchased your home with less than the twenty percent down payment, you may have been required to purchase Private Mortgage Insurance referred to as PMI. PMI is insurance protection for your lender in case of loan default. If you have acquired equity in your home that meets or exceeds the twenty percent of the value, PMI will not be required when refinancing your home loan, resulting in tremendous savings. The best source for a refinanced loan may be your current lender. Your lender has all your financial records and information already on file and may be able to provide you with several loan options. Your current lender may be willing to offer additional incentives to keep your mortgage with their financial institution. Working with your current lender may result in a faster smoother loan process with terms and conditions pleasing to your monthly budget. Investigating other mortgage companies and banks is always a positive action because these companies may offer incentives your current lender does not have available. Research into customer satisfaction with outside mortgage companies will help you understand their reputation for customer response and loan issues. Perhaps once the loan is secured, issues may never occur, but the knowledge of your lender’s customer service practices will prevent additional stress should an issue occur. Some loans contain clauses requiring penalties if a homeowner repays the loan before the ending date of the loan. The penalty amount could result in a homeowner paying thousands of dollars. Lenders put these clauses in loan contracts to compensate for lost interest when you sell or payoff your loan. If a prepayment penalty loan is offered with a lower interest rate, you may wish to consider other loan options. Not all loans contain penalties for early loan repayment, but when the loans contain these penalties understanding the financial impact is important. When refinancing home loans, researching your needs and loan options is an important activity. Check the cost of the loan and the break-even point while considering your long term plans to remain in that residence. Low interest or zero interest loans can be a good investment, but many of these loans require at some point a balloon payment that must be understood to avoid foreclosure, because of an inability to make this payment. A loan amortization schedule that lists payments will allow you to make an informed financial decision and expose any hidden loan costs. Be sure to review all your documents before signing and compare your good faith estimate to the costs quoted in the loan papers. You have rights and obligations that will offer legal protection. Ask questions when you do not understand terms and conditions of the loan. Refinancing your current home loan is an excellent financial decision, but requires homework to ensure you make the best-informed decision.